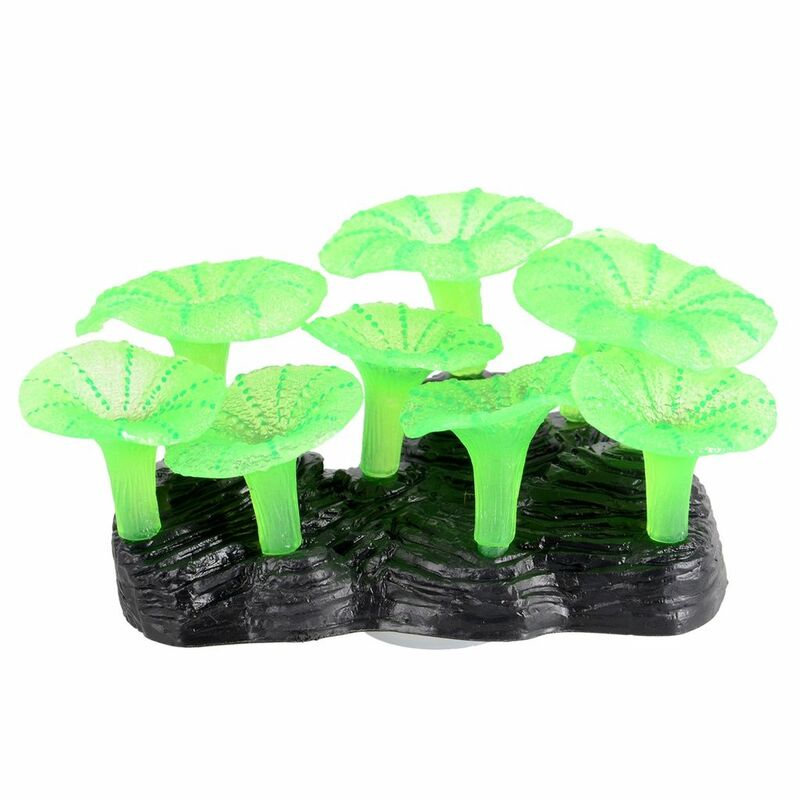 Aquaria Glowing Mushroom Reef -Green - Rick's Pet Stores Inc. 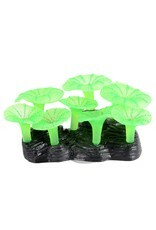 Glowing Mushroom Reef - Green Glowing Mushroom Reefs by Underwater Treasures will help you create a unique, custom aquatic environment through the exciting selection of glow in the dark colors. Choose from pink, green or yellow and bring life into your aquarium! This ornament will glow underneath actinic lighting and will demonstrate a super cool night effect and daytime effect. It is safe for all fish in both freshwater and saltwater aquariums. 4.5" x 3.5" x 2.25"